Is the 'Shameless' Actor Cameron Monaghan Dating someone? Who is his Girlfriend? 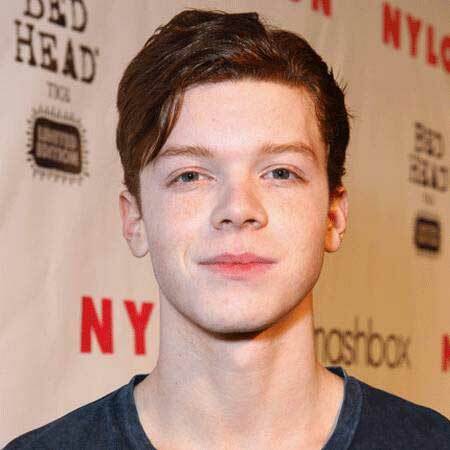 Home Article Is the 'Shameless' Actor Cameron Monaghan Dating someone? Who is his Girlfriend? 'Shameless' actor Cameron Monaghan, most popular for his role as Ian Gallagher in the popular show 'Shameless' is in headlines these days due to his secret love life. Once the star was rumored to be gay as he portrayed the role of gay in the series which gained huge critical acclamation. However, Cameron has settled the rumors by stating his sexuality as straight! Well, we are here today to know about his romantic life so let us begin!!! Cameron is often rumored to be romantically linked with Ruby Modine, his co-star from the show. It is said that the couple started dating since 2016. But the alleged couple has never spoken about their relationship in public. As we scanned the social sites of both of the pair we got no clue regarding their affair. #tbt shot by @thetylershields who has a @leica_camera gallery opening tonight. Hence, the actual story of this pair is still a matter of question in everyone's mind. He was not known to have a love life with anyone in the past. "This is the only time I will answer this here: No, I'm not gay. Yes, I play a gay character. No, the question should not be relevant." "Thanks for the kind words, everyone. It feels a bit odd to 'come out' as a straight guy." As the star is very secretive regarding his relationship status we are heading forward to see Cameron emotionally linked with his soulmate soon in days to come. E! News exclusively reported in January 2019 that Monaghan and Disney Channel star Peyton List called it quits over the holiday season. Though the pair didn't announce their break publicly, it seems everything is over. "The whole cast, we all shared a trailer and were all in the same hotel. It was a small town, two and a half hours away from Vancouver, so we all really got to know each other and all became so close. And then sort of in the middle of it, Cameron and I started realizing we liked each other and started dating after." "He's so understanding which is so nice and I am too. We're always like, 'If work comes up, that's fine, that comes first.' I can't imagine having someone who isn't [an actor], but I'm sure they would understand eventually, but it would be difficult." They went public about their relationship in September 2017 during their trip to Disneyland. Born on 16 August 1993 in Santa Monica, California as the only child of his parents. Enrolled Addison Mizner Elementary School and initiated his acting career in Children's Theatre's Productions. Resides in the Los Angeles area since he was 10 years of age. First came in the eye of media in 2003 portraying the role of Winthrop Paroo in ABC's The Music Man. Earned Young Artist Award in the category of Best Young Television Actor in a Recurring Role for Malcolm in the Middle. Cast in Shameless in April 2010 with cast members Emmy Rossum, Justin Chatwin, Joan Cusack, Emma Greenwell, and many others. Recent movies he played are Jamie Marks Is Dead, Vampire Academy, The Giver, Mall, The Year of Spectacular Men and Amityville: The Awakening. Has played distinctive roles in many TV series like Threshold, The Mentalist, Monk, Three Rivers, Fringe, Son of Zorn and Gotham. Has a net worth of $2 million as of 2017 with an attractive yearly salary. Well, we are eagerly waiting to know some more information regarding the love life of the reality TV star. We wish him all the very best for his upgrading career in near future.